1. People who look for a home during the Holidays are more serious buyers! 4. Houses show better when decorated for the Holidays! 6. Buyers have more time to look for a home during the Holidays than they do during a working week! 8. January is traditionally the month for employees to begin new jobs. Since transferees cannot wait until Spring to buy, you must be on the market now to capture that market! 9. You can still be on the market, but you have the option to restrict showings during the six or seven days during the Holidays! 10. You can sell now for more money and we will provide for a delayed closing or extended occupancy until early next year! 11. By selling now, you may have an opportunity to be a non-contingent buyer during the Spring, when many more houses are on the market for less money! This will allow you to sell high and buy low! Wow! Beautiful and upgraded 3 bedroom/2bathroom plus bonus office space condo. 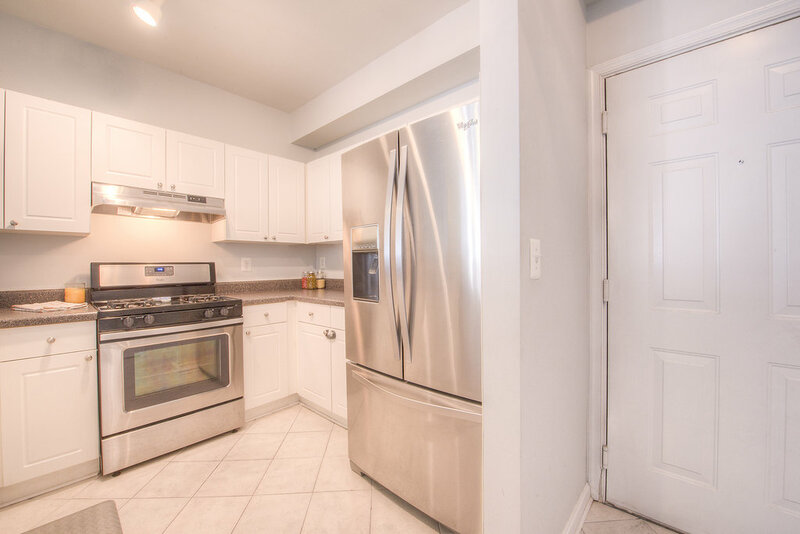 Upgrades will not disappoint: open concept, stainless steel appliances, ceramic tile flooring in kitchen, bamboo floors throughout rest of unit. 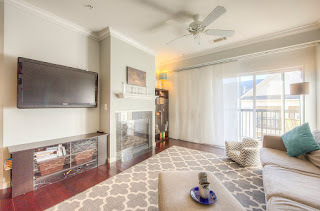 Relax by your fireplace or on your own private patio. Patio has access from living room and a bedroom. Enjoy all the amenities the community has to offer! 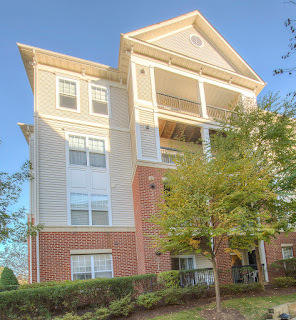 We love the location of our home in Fairfax. We have easy access to 50, 29 and we can get to 66 in a minute. 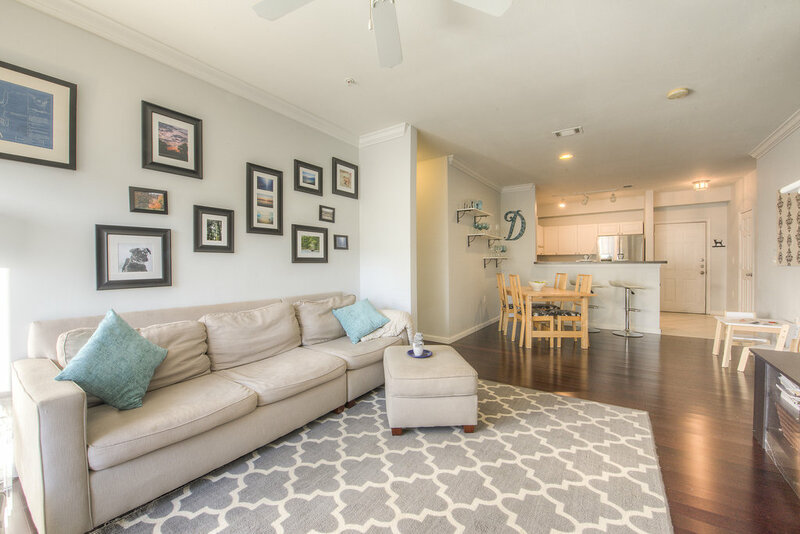 We’re centrally located to where our friends and family live – spanning from DC out to Front Royal, and the location allows easy commuting to work. We enjoy Fairfax shopping and live very close to Fairfax Corner, Fair Oaks Mall and Fair Lakes. We can easily run errands, meet friends or enjoy family time so close to home. We have so many shopping and dining options. Our favorite restaurants are the Wine House in downtown Fairfax, Coastal Flats in Fairfax Corner and all Prime Time Sports Bar just across the street. Fairfax Ridge was the perfect neighborhood for our first home. It offers great amenities including the clubhouse, gym and pool. Our favorite feature is the walking trail located very close to our building – it loops through a mini forest with wildlife and flowers and is great for a walk with our dogs and our son (he likes to imitate the bullfrogs and pick the flowers). We also chose this neighborhood over other condos because of the ease for visitors. We have great street parking plus a visitor lot just outside the gate close to our building. This was really important to us because it was difficult to find in Fairfax and we like to entertain. We decided to purchase this home over others because of the location, the size and the possibilities. We put in all new flooring throughout – dark bamboo wood floors and tile in the kitchen and baths. We painted every inch when we moved in with a soft grey that we love. 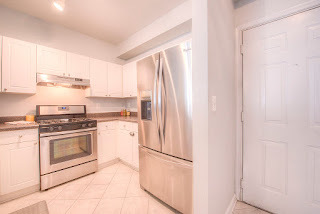 We changed out all the kitchen appliances to stainless steel with features that were missing from the original standard condo ones. After we saw the condo the first time, we visited again the next night to get a feel for the neighborhood. We checked out the walking trail and met neighbors and just felt very comfortable. 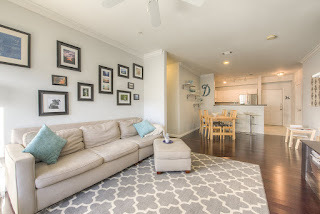 We love the top floor features including the fireplace, better windows and most important to us – no neighbors above us and only one other neighbor with access on our floor. This keeps foot traffic outside our door down and we (and the dogs) really appreciate not hearing people go up and down outside. We are sad to leave this home but our work locations have changed and have become more flexible allowing us the ability to consider single family homes just a bit further out. We would like to give our son and 2 dogs a yard to enjoy! As of today 11/04/2015 there are 6 homes for sale in Fairfax Ridge, 2 homes under contract and 1 home that sold in the month of October. According to MLS, 1 condo sold in the month of October. Last month 6 homes were rented, 0 currently are pending and 6 homes are active for rent.